Celebrate the 4th! 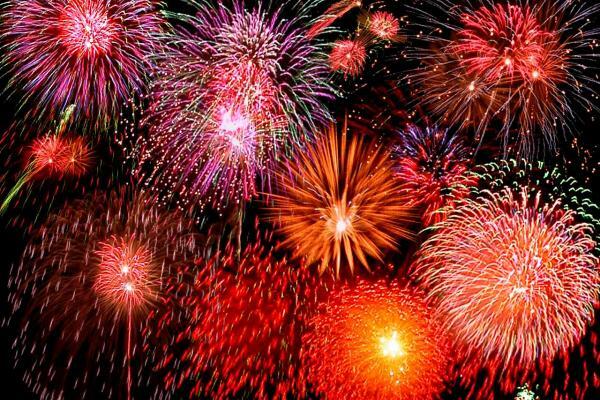 Top 10 Fireworks Displays in the USA! The celebration of our nation's independence is a time honored tradition that is capped off with fireworks. No matter where you celebrate the 4th of July, there will likely be a fireworks presentation and here are BBOnline's pick for the Top 10 Fireworks in the USA! There is nothing like Macy's 4th of July fireworks celebration. Set on the Hudson River, the display can be seen from miles away including New Jersey. The show gets underway at 9pm, but you will want to get to your vantage point early. 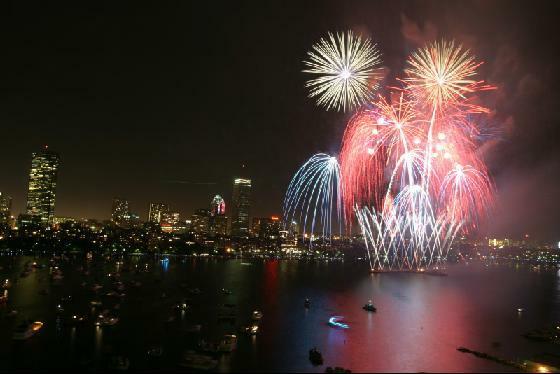 Look to the sky above the Charles River over Boston and you will be amazed by one of the most expensive 4th of July fireworks extravaganza in the USA! The best viewing spots are along the Longfellow and Harvard bridges and along the riverbank. Spots fill fast, so get there early. 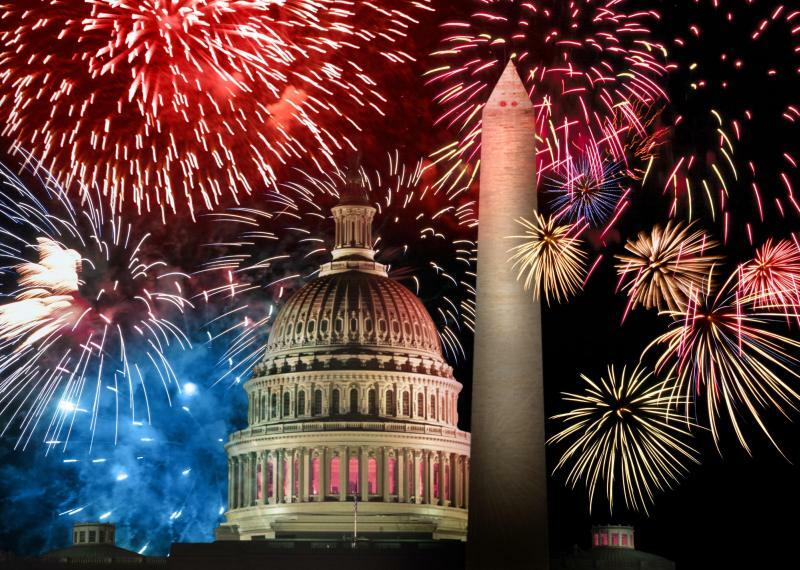 4th of July on the National Mall is the place to be to celebrate Independence Day. The festivities kick off with a parade and the fireworks get under way at 9pm. The presentation is set to the music of the National Symphony Orchestra. Security will be heightened, so be prepared for it to take some time to get through the check points. Each year, to celebrate our nation's independence, Addison Texas puts on Kaboom Town, a 30 minute fireworks presentation that attracts more than a half million visitors. The fireworks display is so grand that it can be seen from anywhere in town. 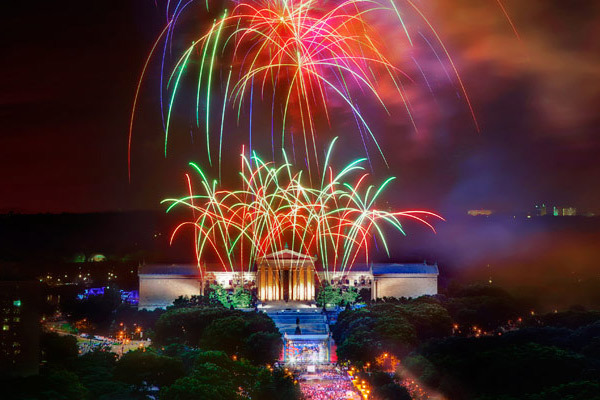 The City of Brotherly Love presents the perfect ending to a week-long celebration by treating viewers to a fabulous $2M fireworks display. 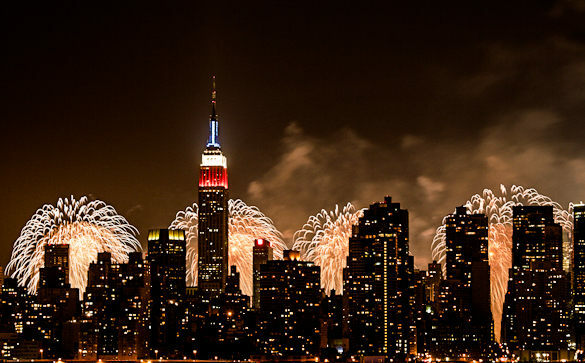 In seasons past, the city has seen more than a half million visitors for the 4th of July fireworks. The festivities include an open air concert that kicks off at 5pm. The best viewing locations are Lemon Hill and Benjamin Franklin Parkway, but you better get there early. 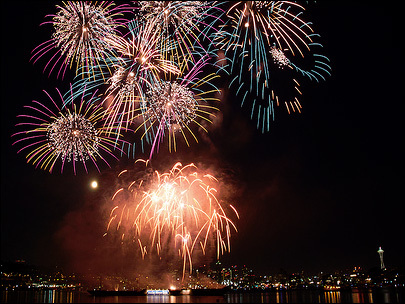 Gas Works Park at Lake Union is the perfect setting for a 4th of July celebration that offers family fun including activities and live entertainment with plenty of seating to watch the Seattle sky light up to honor the day. 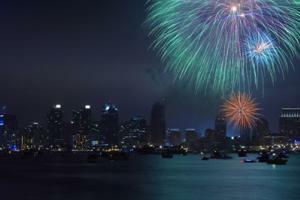 One of the largest 4th of July fireworks presentation in the country, the Big Bay Boom, takes place in San Diego. The celebration begins with a 15K Run that leads up to the main event which starts at nightfall. Visitors may view the fireworks from the beach, golf course or the bay side. 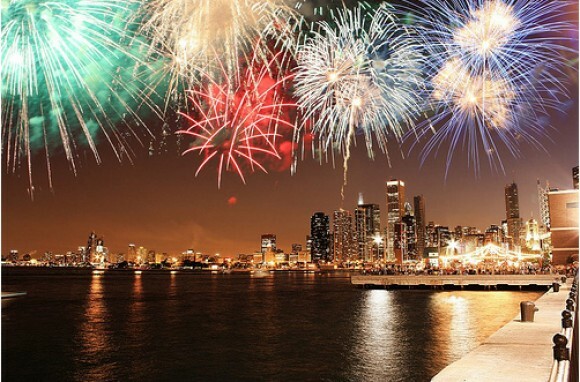 Chicago is home of a 10 day culinary celebration leading up to the 4th of July fireworks presentation in Grant Park on Navy Pier. There will be live entertainment, activities for the entire family and lots of food. Each year nearly a quarter million people converge upon the city of New Orleans to celebrate the 4th and view a spectacular fireworks presentation on the riverfront. The presentation starts at 9pm as the colorful fireworks are launched from barges. Visitors can watch from the river walk or from restaurants along the riverfront. If you plan to watch from the levy, get there early. 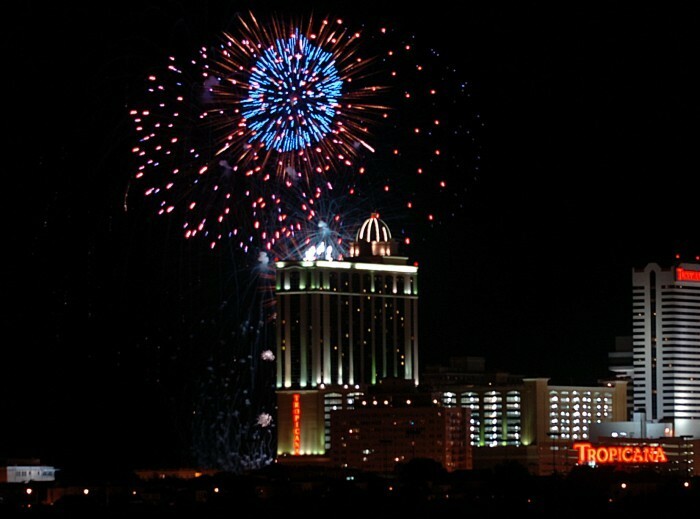 4th of July fireworks in Atlantic City features two presentations. 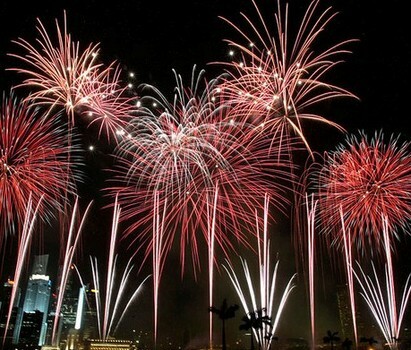 Look to the Marina sky for the first set of fireworks which get started at 9pm. Afterwards, turn your attention to the sky above the Boardwalk and beach for a second spectacular display. If you are hoping for the perfect beach spot, we recommend getting there early.